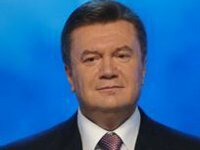 Ukrainian President Viktor Yanukovych has ordered the government to work on the issue of minimizing the economic risks to Ukraine that the signing of the Association Agreement with the EU will entail, by the time of the EU-Ukraine summit scheduled for the spring of 2014. "We have set a task for the government to carry out this work and to engage as many experts as needed. Broadly speaking, the next summit is in March, and we have until March to do this job," he said at an all-national roundtable in Kyiv on Tuesday.